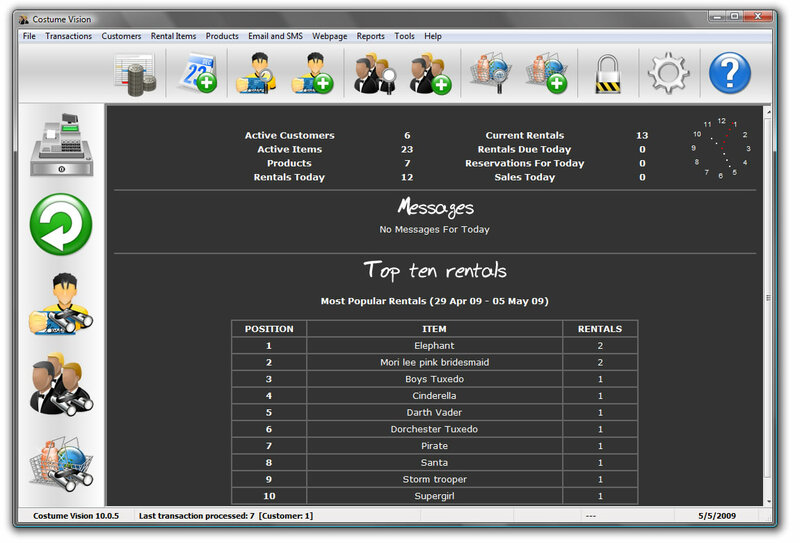 Costume Vision is a dedicated costume store management software solution. It provides the complete POS solution for any type of costume rental store - tuxedo rental, fancy dress rental, theatre costume rental and formal wear hire stores can all benefit from the power of Costume Vision. The software features easy customer and rental stock management and streamlines all processes in the costume rental cycle including but not limited to reservations, customer account and deposit management, rental and return. The program also offers a number of options to assist you in running a website for your store. 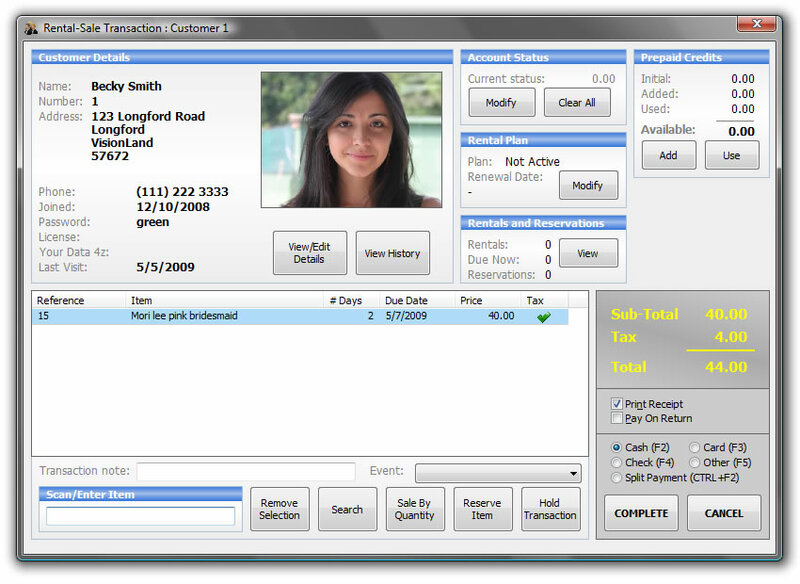 Core features included in the program include an intuitive Windows interface that is extremely simple to learn and use, integrated reservations and deposit taking, event/party planning, password protected functions, overdue rental monitoring and late fee calculation, customer account management, barcode scanner support, barcode designing and printing, management reporting, a range of promotional tools (including multi-rental discounts and a Frequent Rental Points scheme), customer photo capture, customer membership card creation (with photo and barcode), full saleable stock control features, full rental histories, and much, much more. With the appropriate license purchase, Costume Vision can be run on multiple terminals sharing a single database on your Windows network.